For companies using Stripe, the data becomes the staple of their financial metrics, forecasts and finance operations. This Block, based on the Stripe data schema produced by Segment Sources, will help you establish the foundations of your analysis, which you can then augment with additional objects based on your customized schema. Segment’s implementation of the Stripe is ideal for two primary reasons, first the data is kept in very high normal form and lends itself to straightforward traditional analysis. 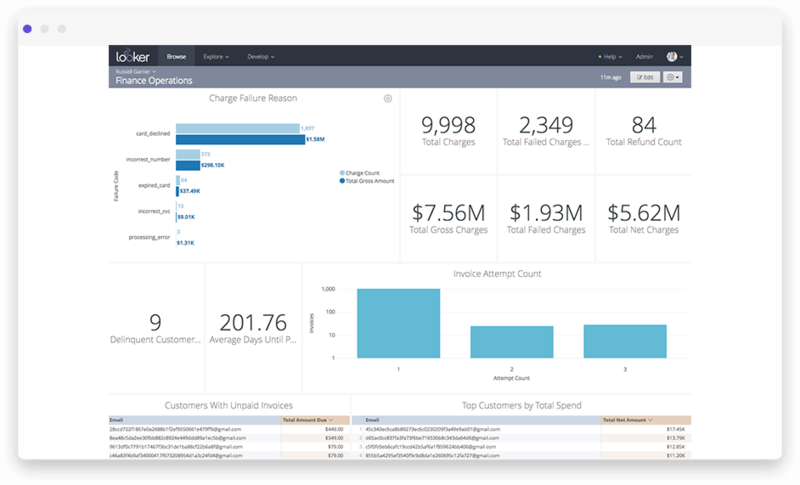 And secondly, having event data alongside Stripe allows very quick end to end modeling of customer lifetime value tying data from the beginning of the business process to the customer’s ultimate purchase behavior. See totals for items that should be top of mind, such as delinquent customers, etc. 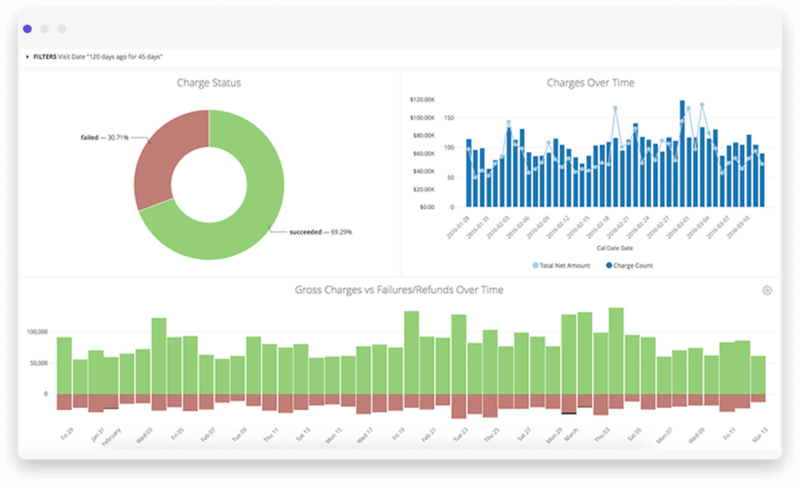 Shows the metrics a finance operations team needs to keep top of mind. Failed charges, reasons for charge failure, delinquent customers, etc. 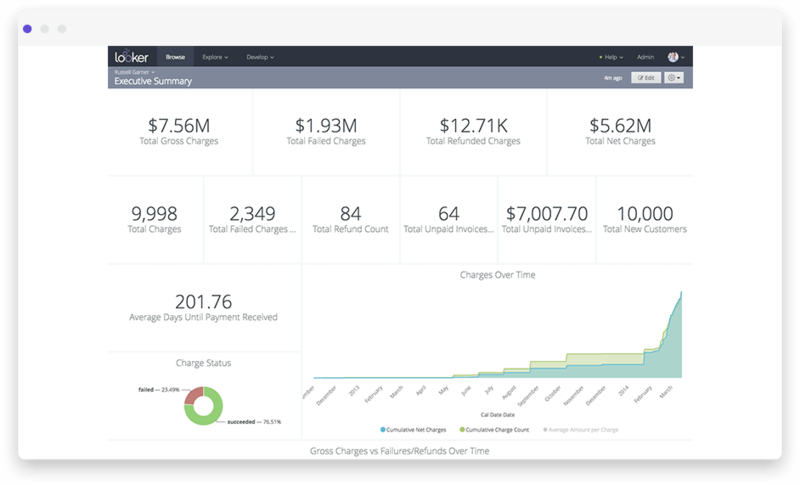 Customer’s attributes and history at a glance, including total net charges, outstanding balance customers, etc. 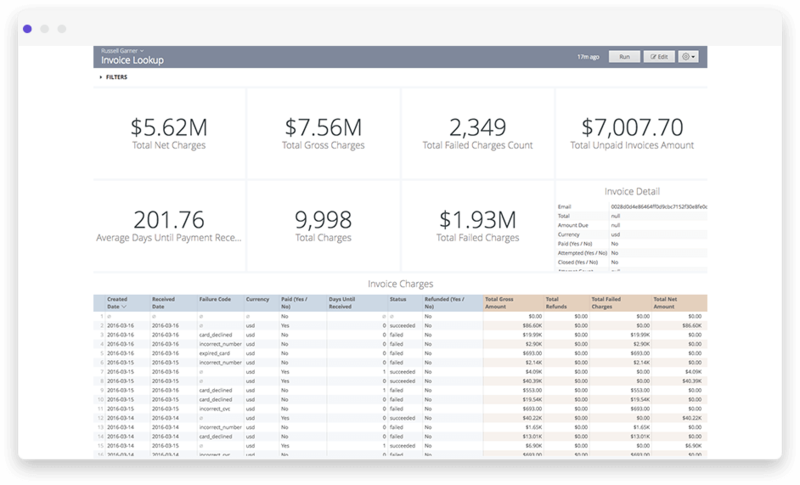 Get an itemized breakdown of charges and their respective statuses. Link out to an explore for access to any invoice field.